Yesterday we went and learned about plants that grow right in your backyard, that you can eat! Not only did the kids get a chance to play and run, but the parents learned a ton too. A big "Thank You" to our Mama friend who hosted it and to Dan from Return to Nature for sharing his plant knowledge. Dan is a wealth of knowledge and makes learning about nature fun for everyone. 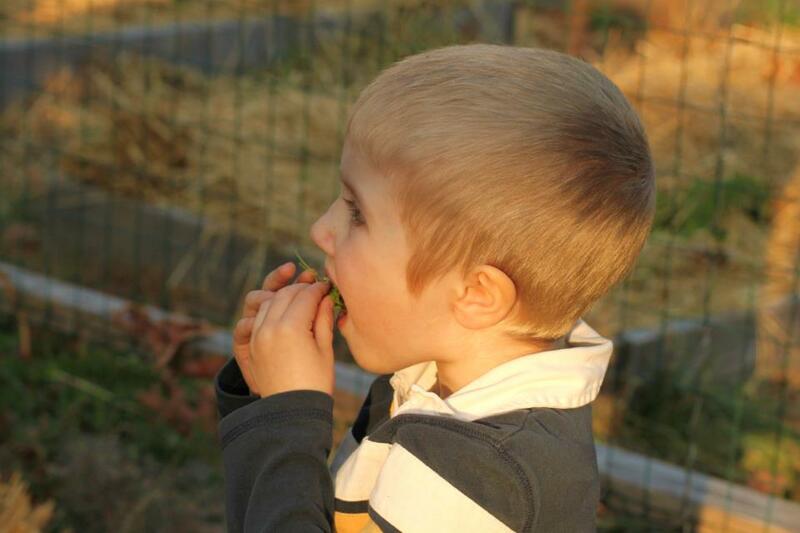 Here is Ben eating some Chickweed. 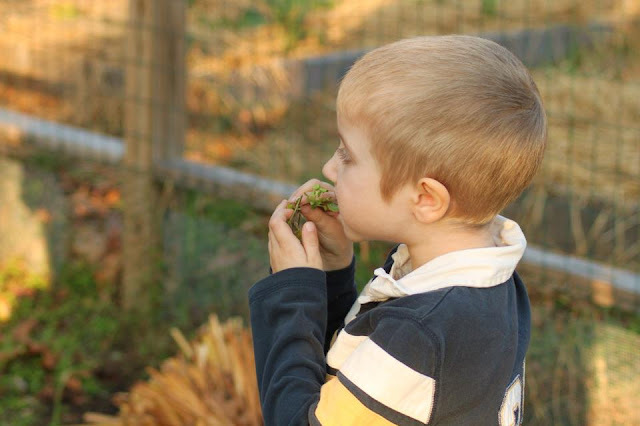 He loved being able to pick the plants himself and eat them right there. There is something about foraging for food that just feels right. It's something wonderful that you truly miss by just going to the grocery store and grabbing food off the shelf. And after yesterday being full of fresh air and eating some healthy plants the boys slept so well. And usually they both snore loudly at night. Not a sound last night. That's how great they slept. We definitely need more of this and soon! So happy you guys came!! !